Brady’s cable & cord lockout devices enables you to lock out securely in many different applications. 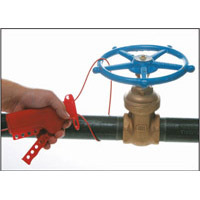 It’s perfect for all sizes of gate valves as well as electrical lockout situations. The cable can be threaded through several disconnects in various energy distribution centres and secured with a lock. It gives you the flexibility of a chain but is lightweight and easy to work with. 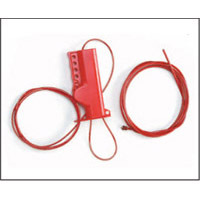 The cable lockout can also be used for security to lock equipment and tools.